AuSPICA has a team of experienced specialists who are responsible for the field inspection of 2,000 hectares of seed potatoes. Each crop has at least two field inspections per season, from which the seed produced as to be inspected to meet certification tolerances. All seed stocks that carry AuSPICA seed potato certification labels have been tested for Potato Virus Y and come from fields which have been soil sampled and tested negative for Potato Cyst Nematode (PCN). AuSPICA operates an approved QA program for qualified seed potato businesses to internally conduct quality assurance assessments against the Standards of the AuSPICA Certification Scheme. QA growers can conduct their own tuber inspections while all other assessments (e.g. field) are completed by trained certification officers. The QA growers are routinely assessed and audited for their proficiency and capability of doing a job well done. Good on-farm biosecurity practices are important for all potato farmers to minimise the spread and introduction of pests and diseases. A component of on-farm biosecurity for certified seed growers is to ensure that bins and bulk trucks used to load seed potatoes arrive on their farm clean and free of soil and plant material, including old season potatoes. All bins and bulks trucks used to load certified seed potatoes should be high pressure washed and disinfected using an appropriate disinfectant. Bins used to load certified seed should be dedicated to seed potatoes and not previously used to load commercial potatoes or other crops. Seed growers require commercial growers supplying bins and bulk trucks to load certified seed potatoes to complete a bin hygiene declaration form to ensure that appropriate actions have been done and documented. Single use bags must not be reused and a bin hygiene declaration form is not required. The Code of Professional Conduct (“the Code”) is a public statement of the principles, values and behaviour expected of Members of AuSPICA, as determined by the Board. The purpose of the Code is to ensure that high standards of corporate and individual behaviour are observed by all Members. AuSPICA expects a standard of integrity and honesty from individuals who conduct business within the AuSPICA seed potato certification Scheme and from the Members (certified seed growers) whose produce that we certify to be consistent with the Conditions of the AuSPICA Seed Scheme. In order to maintain industry confidence in the professional standards of Members of AuSPICA and as such the product of certified seed potatoes, it is essential that Members exhibit, and are seen to exhibit, professional standards in carrying out their duties. This Code does not attempt to provide a detailed or exhaustive list of what to do in every situation. Instead, the Code represents a framework for professional conduct and aims to provide assistance and clarification. Members shall comply with the regulations governing the practice of seed potato certification as set out in the Association’s Code of Conduct. If members believe any of these regulations to be unjust or unreasonable they should provide a written communication, citing reasons, to the Secretary of AuSPICA. The current Code of Professional Conduct became effective on Oct 2017. (b) reflect adversely on the professional integrity of AuSPICA or its Members. 2. A Member must not maliciously or carelessly do anything to injure, directly or indirectly, the reputation, prospects or business of other Members. As such, Members of AuSPICA shall not intentionally act so as to cause reputational damage to the AuSPICA certification Scheme. 4. Members shall not misinform, or otherwise mislead the Authority or buyers of certified seed potatoes. In so doing, a Member of AuSPICA must always supply the authority with accurate and honest information relating to seed potato production, cropping histories and other relevant data which is used to conduct seed certification. 7. Members AuSPICA will be compliant with Plant Breeder Rights were appropriate. AuSPICA reserves the right to notify of breaches of PBR, either perceived or actual. 8. AuSPICA Members shall comply with all interstate trade conditions and policies that relate to the trade and movement of seed potatoes. This will include, if relevant, conditions relating to the rules surrounding plant protection districts and pest control areas. AuSPICA reserves the right to notify of breaches of biosecurity policies, either perceived or actual. 11. 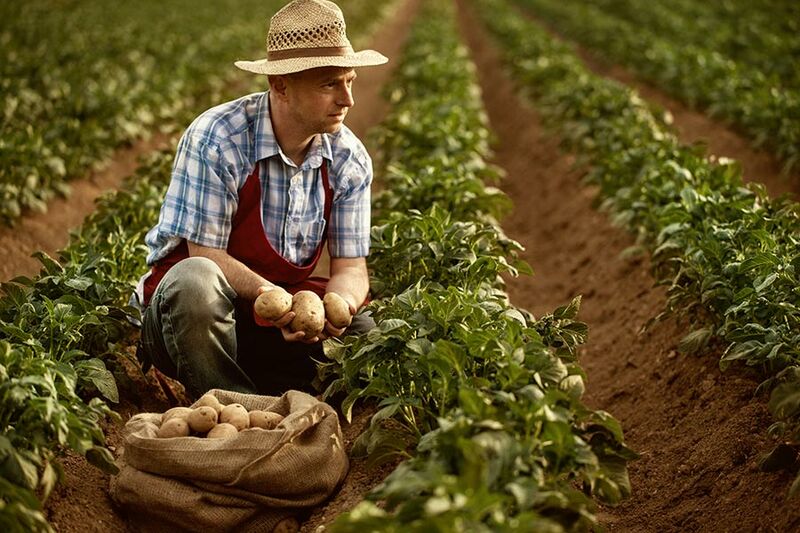 A Member must not directly or indirectly exert undue pressure or influence on any persons, whether by the offer or provision of any payment gift or favour or otherwise, for the purpose of securing the certification of seed potatoes or other services.